Chronicling a period of 13 years, Colette is the more or less true story of Gabrielle-Sidonie Colette’s rise from humble country girl to becoming the most successful female writer in French literature. Gabrielle married a charismatic and brilliant man who owned a “writing factory” to which he lent his name, “Willy”. To mitigate Willy’s debts, Gabrielle started ghostwriting a novel about the adventures she had had as a schoolgirl in the country. After much polishing the novel became a publishing phenomenon. Two more novels followed to great public acclaim, unleashing a marketing rage and being adapted to the theater. But not all was fine at home. Colette, as she became fond of calling herself, was neglected as a wife, with Willy working the social circuits while she stayed writing at home. Eventually she felt more at ease in the company of performers and social outliers. A tryst with a wayward debutante from Louisiana snaked its way into her third novel, but it was her fascination with performing arts and an affair with a certain marquise who descended from royalty—for which she got away with wearing trousers in public—that made Colette find the courage to ask Willy to release the following novel under both of their names. It would take Willy’s selling of the novels’ rights, without her consent, to doom their relationship. It seems that movies featuring LGBTQ+ themes have become more and more mainstream. This year alone I’ve written about Love, Simon (See Snapshots -#49), Disobedience (See Snapshots -#50) and now Colette. I have yet to watch/review The Miseducation of Cameron Post and Boy Erased, the latter of which received early Oscars buzz, as did Colette, hence my interest. Colette has a running time of 112 minutes. It is directed by Wash Westmoreland, who also co-wrote the screenplay along with Richard Glatzer and Rebecca Lenkiewicz. Among the latter’s writing credits is the outstanding Disobedience (See Snapshots -#50). 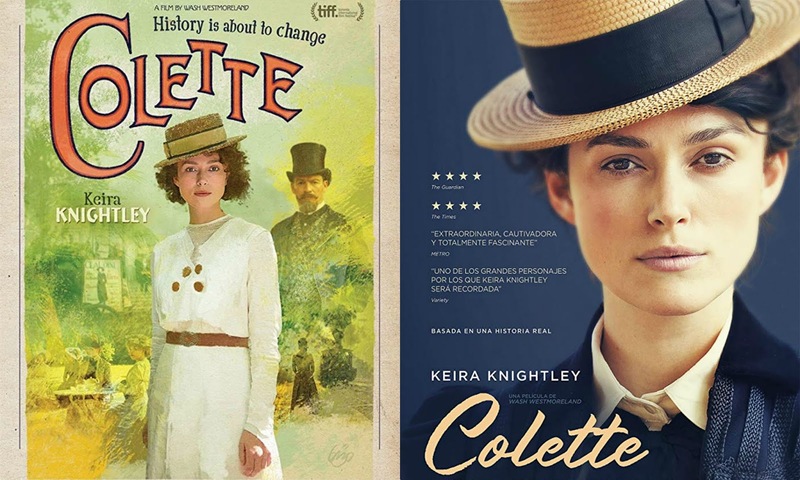 In Colette stars Keira Knightley (Gabrielle-Sidonie Colette), Dominic West (Willy), Denise Gough (Marquise “Missy”), Fiona Shaw (Sido), and Eleanor Tomlinson (Georgie). An aside from the character and story developments are the occasional close-ups of plants, insects, and the woods in the countryside, as are some instances of passing trains, and Paris’ street views and the Seine near Notre Dame Cathedral during daylight or the blue hour. The saloons are occasions to enjoy too, for they display the best and the oddities of Parisian society at the end of the 19th century, like an opera singer underscoring a cantomime show, exchanged witticisms, lively music, palm reading, and the rare display of exotic animals. The costume designs and production designs are superb, as is the gorgeous orchestration, mainly composed of piano pieces, waltzes, and violent violin crescendos during Gabrielle’s explosive outbursts, and there are a few of those, or during her feverish writing of one of her Claudine novels. The beautiful orchestration feels very much like a breathing element of the story. There is a nice balance in the use of lighting: candlelight and natural light, unlike most period pieces which tend to be dark as a rule. The screenplay is witty, entertaining...A triumph! The barbs exchanged between Willy and Colette suit fighters better than intellectuals, and they are funny too. 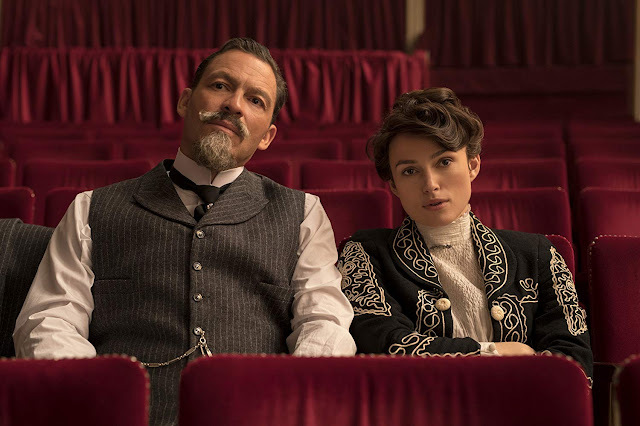 Colette features an ensemble of superb supporting characters, led by the charismatic Willy (Dominic West) that is the roguish counterpart to the volatile and talented Colette. They share a spirited marriage, spiced up with bursts of fury and passion. Willy is a man of deep contrasts: he is in debt but always picks up the tab; he is a neglectful husband but he has a disreputable lover. He doesn’t get jealous when Colette embarks in affairs with women as long as it is not with another man. He is a publicity genius but can’t write anything of his own. Another endearing supporting character is Sido, Colette’s mother, who is her anchor and a firm believer in her talent. Sido advises her, towards the end, to divorce Willy for he is holding her down, that she should write under her own name, which Colette eventually does to great acclaim. The Marquise de Belbeuf, or Missy, becomes the light in the storm, Colette’s guide to personal and professional fulfillment beyond Willy’s shadow. It is very telling in this story that two of the strongest and most influential characters in Colette’s life are female, because one does not think of that era as open to female empowerment as perhaps this day and age. Keira Knightley conveys well the image of boredom and sudden anger, as she does the constraints of an ill-suited marriage. The voice-overs as she writes novels or composes letters are an additional layer to savor. Colette is Keira Knightley at her most rebellious best. She is electrifying in this role as a woman who pushed sexual and society boundaries and succeeded in both roles. 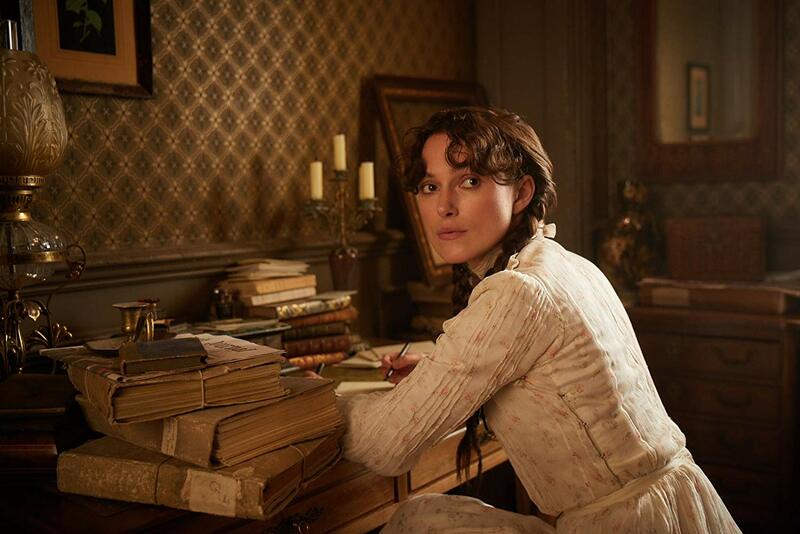 Knightley has challenged herself with this character; it breaks the mold from anything she has done before and she should consider carefully what roles to take on next because she has proved with Colette that she is not just the ‘Queen of Stuffed Period Pieces”, but that she can do much more. Colette has always been a fascinating personality for me. Sounds as though this movie does her justice. Dominic West is very good at playing rogues - from The Wire to a series that we are now streaming called The Hour. Rogues seem to be his forte! It is a worthy movie, and Dominic West almost steals the movie from Keira Knightley. Almost. He is that charmingly good. Wonderful review. I loved this movie! Some years ago a reading group of which I was a member read a couple Colette novels. They were great and I was excited to watch the movie. I have liked Keira Knightley in every she has made. Stuffed period pieces is a terrible thing to hang her with. She shines in whatever she does. I liked all those movies you mention. I reviewed the last two and (sort of) Begin Again, a paragraph at least. I rented Boy Erased but I'm taking a short break from the theme before I immerse myself again. :-) I'll be reviewing At Eternity's Gate either tomorrow or Saturday at the latest. I think I would really like this. I like period pieces and the topic sounds great too. Plus, the countryside shots, costumes and the close look at Paris really appeal to me. I hope you like it. Keira Knightley and the rest of the cast are astounding in it. And yes, the technical aspects make it a 'must see' too.